This recipe comes together so quickly. 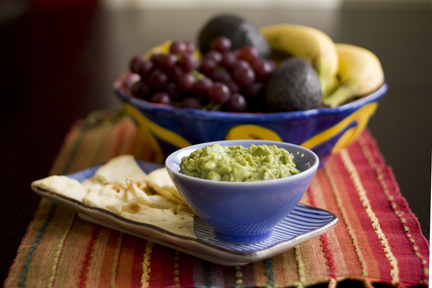 Peel and put avocados in a large bowl, add some spices, juice a lemon and mash. Bake some naan bread or peel some veggies. Eat. Repeat. Served with crisp tortilla chips, pita bread or naan bread, this appetizer turns any gathering into a party. 1. Gently peel and core the avocados. Place in a large bowl. 2. Add onion, lemon juice and spices and stir until well blended. 3. 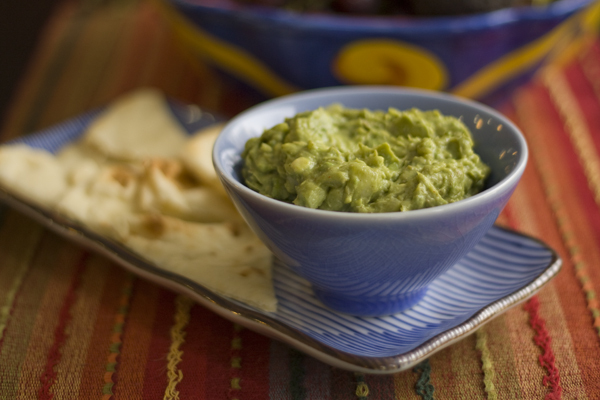 Mash everything together with a wooden spoon until guacamole reaches a creamy consistency. 4. Cover tightly with plastic wrap (push the wrap down onto the surface so the guacamole does not brown). Refrigerate for 1 hour before serving. 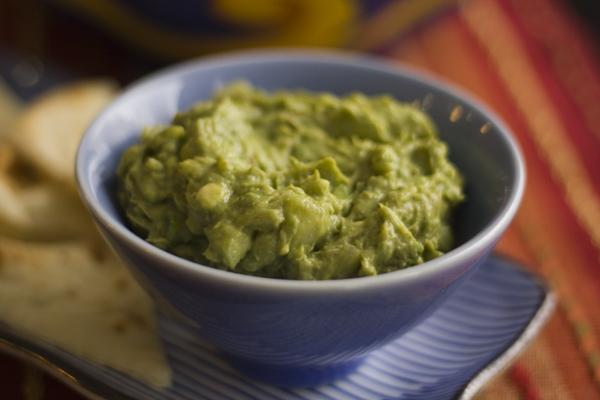 I love guacamole and trying new recipes for it!